4 Weeks and 7 Miles! Four score and seven years ago…. Kind of feel like I’m beginning an epic speech here! But really, I have 4 more weeks of pregnancy left (hopefully not much more or less) and I’ve run 7 miles in the last week! And not just waddling quickly, actual running. With running shoes tied as loose as possible and a maternity support belt, I can enjoy myself most of the time. I’d post a picture of my getup but I always forget before I run, and by the time I’m done I just want to rip everything off. Maybe next time. Saturday I ran with my running group. It still really bums me out that I’m not training for any race right now. Everyone is so amped up for training season, and I’m just trying to keep some semblance of fitness so I can get back into things easier after baby. I may still sign up for a fall half marathon if my labor and recovery don’t do me in. 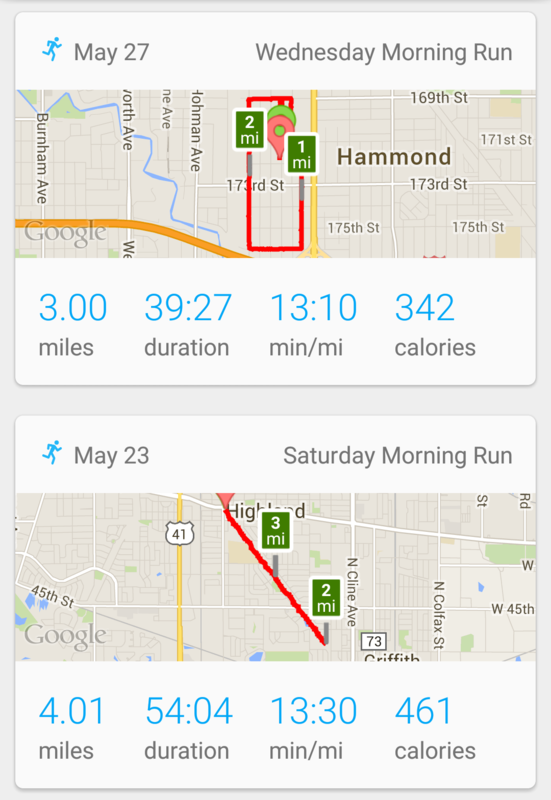 Anyway, Saturday – I ran 4 miles! I was listening to Pandora on my phone (per usual) and walked one song, ran two songs. It made me a little nervous to go out on the trail 2 miles (out 2 miles, back 2 miles), but I figured I could always walk back, I had my phone if I needed to call for a ride, and there were about 20 other runners with my group that would’ve seen me if something happened to me. I’m so glad I did! This morning I decided to go out for another run. I’ve been running once or twice a week and didn’t know if I could still do that 36 weeks pregnant. But again, I played it safe. Good shoes, support belt, water bottle, phone, and I stayed close enough to home that I could walk back if I needed to. Speaking of home, I live near a school that was just starting their school day as I went out to run… you should’ve seen some of the looks I got! They probably think I’m seriously nuts for running with this belly! Today’s run was a little harder. I think the baby’s position has a lot to do with it. She favors the right side with her head down, hands in my hip bones, knees behind my belly button, and toes under my ribs. I get a lot of round ligament pain and cramping on my right side and I think that the extra weight and all her limbs tucked into my bones is what does it. Saturday, I could feel that she was front and center and I had hardly any ligament pain or cramping. So I did what I could today. Still walked one song, ran two, but had some sharp ligament pains the last quarter mile that made me walk. Still really proud of myself!